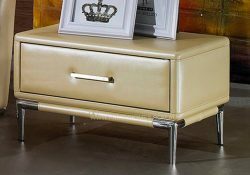 The right bed makes a perfect centerpiece for your bedroom but don’t underestimate the value of the right bedroom side tables. Ours come in a variety of styles & materials to meet your unique needs. 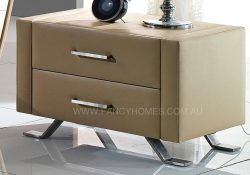 Contemporary styles look great and help to frame your new bed. 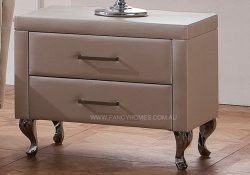 Bedside tables with drawers are essential for keeping what you need close by. Keep the remote to your TV safely out of the way when not in use. Place your book and glasses inside so they’re handy when you need them. Even if you don’t have a lot of space to put bedroom side tables on either side of your bed, a small bedside table provides the room you need for your light and bedtime essentials. We offer a range of styles, sizes, and colours, all available for order online. Getting the perfect bedroom furniture has never been easier. 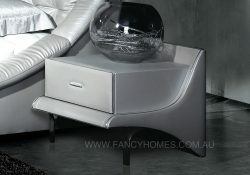 We also offer the best value in Australia. 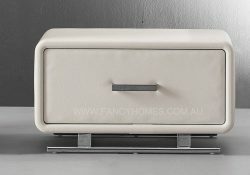 If you aren’t near one of our stores to buy bedside tables in Melbourne or Sydney, no worries. You have the entire range of tables to choose from with your internet access. 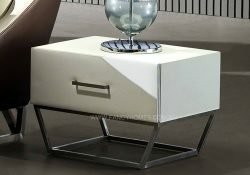 Each bedside table is made from quality materials. 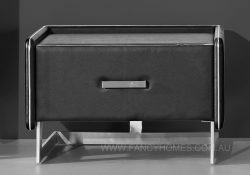 We provide a full description with dimensions to make choosing the perfect tables easy for you. Start by measuring your available space to determine your needs. We even offer child-friendly features that prevent your little ones from being injured while they play. 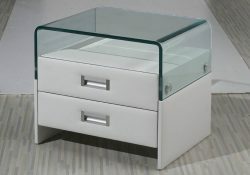 Make your choice of bedroom side tables and complete your bedroom today! It’s easy and affordable to order furniture online from Fancy Homes!